"I was only 18 and Nat King Cole sent two of his guys down to say he wanted to see me. I went up and he asked me what age I was. When I said I was 18, he said he was going to take me to the US...I went back to my father and told him but he just said that I'd end up on drugs and drink, so I didn't go. But I've never regretted not making the move, as I’ve seen for myself the impact that fame and fortune can have on people's lives." 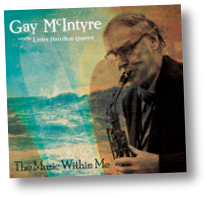 Gay McIntyre, saxophonist, clarinettist and one of Derry's most famous and loved sons, turned down Nat 'King' Cole when he was a teenager. Sixty years later and he hasn't slowed down. 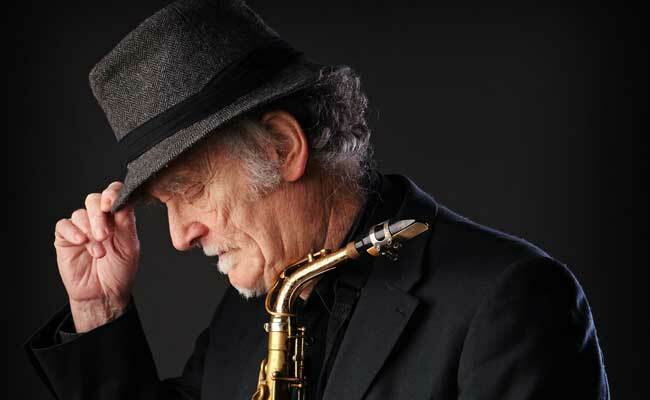 This month he'll play five arts centre dates in Northern Ireland with a band fifty years his junior featuring John Leighton (piano), David Lyttle (drums) and Rohan Armstrong (bass). Singers Susanne Savage and Victoria Geelan will also appear on various dates. John Leighton has been working with Gay in recent months and arranged the tour. "I find Gay a real joy to work with. He is a great example of how it's possible to play on a really high level and remain active in a local setting. He is a real inspiration to me." 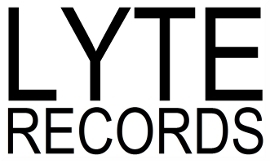 The Independent described him as "a master of nuance, delicately embellishing the tunes while keeping their essence" in their review of his 2011 Lyte Records The Music Within Me (LR010).